Complement is an essential part of the innate immune response. It interacts with diverse endogenous pathways and contributes to the maintenance of homeostasis, the modulation of adaptive immune responses, and the development of various pathologies. 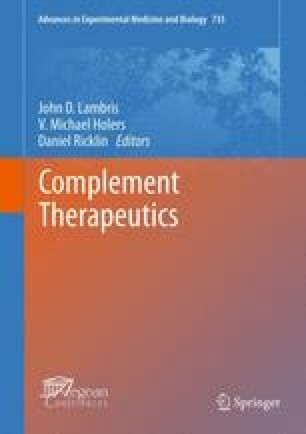 The potential usefulness, in both research and clinical settings, of compounds that detect or modulate complement activity has resulted in thousands of publications on complement-related innovations in fields such as drug discovery, disease diagnosis and treatment, and immunoassays, among others. This study highlights the distribution and publication trends of patents related to the complement system that were granted by the United States Patent and Trademark Office from 1976 to the present day. A comparison to complement-related documents published by the World Intellectual Property Organization is also included. Statistical analyses revealed increasing diversity in complement-related research interests over time. More than half of the patents were found to focus on the discovery of inhibitors; interest in various inhibitor classes exhibited a remarkable transformation from chemical compounds early on to proteins and antibodies in more recent years. Among clinical applications, complement proteins and their modulators have been extensively patented for the diagnosis and treatment of eye diseases (especially age-related macular degeneration), graft rejection, cancer, sepsis, and a variety of other inflammatory and immune diseases. All of the patents discussed in this chapter, as well as those from other databases, are available from our newly constructed complement patent database: www.innateimmunity.us/patent. The authors wish to thank Deborah McClellan for editorial assistance. This work was supported by National Institutes of Health grants AI030040, AI068730, AI071028, AI072106, AI097805, GM097747, DE021685, and EY020633.